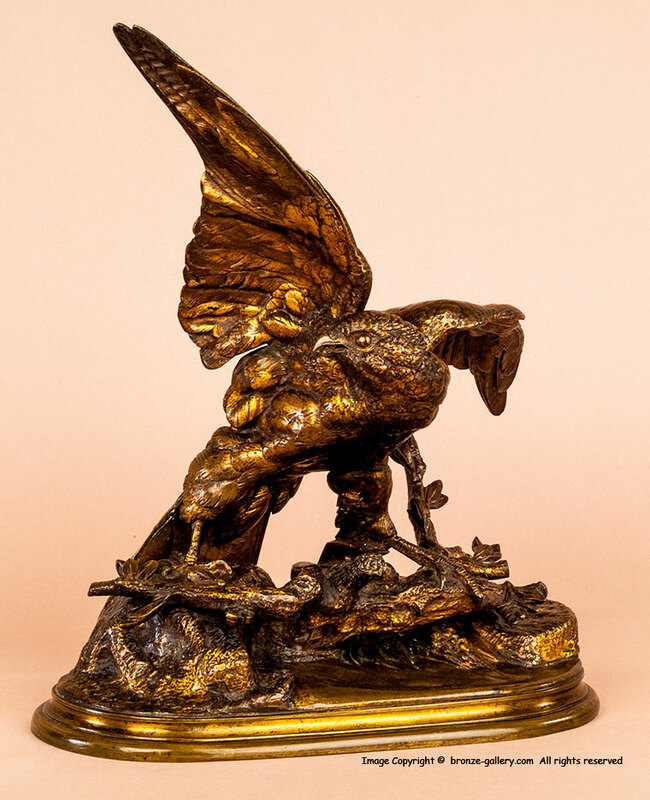 Moigniez was probably the finest sculptor of Birds in the Animalier school. His subjects are always full of life and accurate in their details. This large bronze of a Hawk of Falcon is one of his best works. The Hawk is shown with his wings stretched out as he balances on a branch. 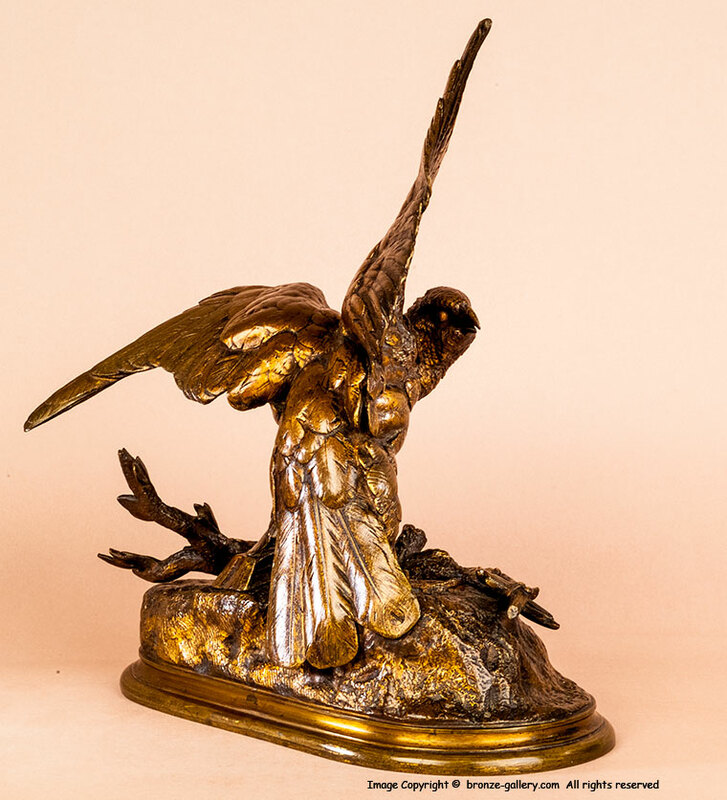 Moigniez's bronze is as accurate as a photograph which has stopped time in the moment of the bird's landing on the foliage. The Hawk is preparing to fold his wings down and the details in the feathers is amazing. Moigniez used this Hawk in several different sculptures including a group showing the Hawk confronting a Snake while pursuing a Sparrow. The Hawk was also used on a taller stand but this is the original composition of just the Hawk alighting on a branch. This bronze was cast by Moigniez and his father in their own foundry in the mid 19th century. It is a very fine cast with a wonderful brown and golden gilt patina. The details of the foliage and base compliment the large Hawk very nicely. A rare model, it is shown on page 79 in Payne's Animals in Bronze book.